The Delta Secure 2000 Helix is an extremely fast sectional door designed to keep noise to a minimum whilst offering exceptional insulation performance. Offering a high quality solution when it comes to managing an opening that requires security; the Delta Secure 2000 Helix combines the need for an insulated door for night use and a high speed door for daytime all in one product. Using a standard track system this door opens 6x faster than a similar sectional door. 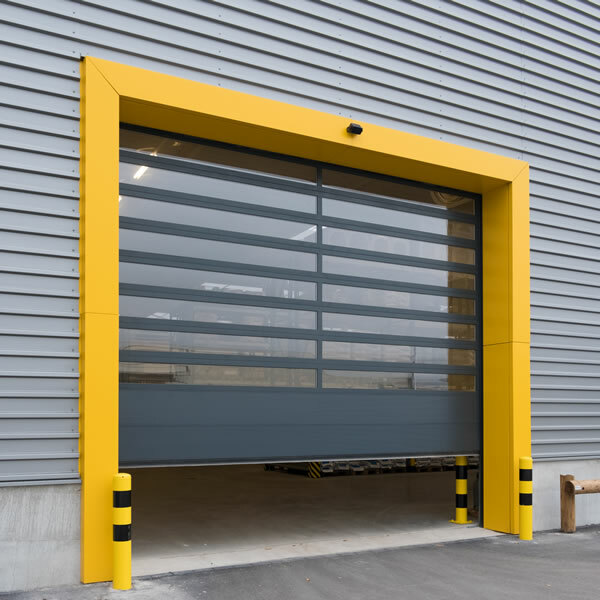 Industrial Sectional Doors are vertically-opening doors built to withstand heavy usage. Constructed using multiple panel sections using double skinned steel foam filled panels but also aluminium framed and glazed panels for varying degrees of high quality vision. Once open, the sections fold up neatly to fold flat beneath the ceiling creating more space in front of and behind the door.